“Today is the big day where all the trash, pollutants, cigarette butts, Styrofoam, and animal waste come down from all the cities and down the watershed. Orange County is a big place. And there’s no filter. Everything that gets put in the streets, gutters, or when people don’t pick up after their pets, it gets washed out here. You’re getting all that waste in the ocean in one swoop." 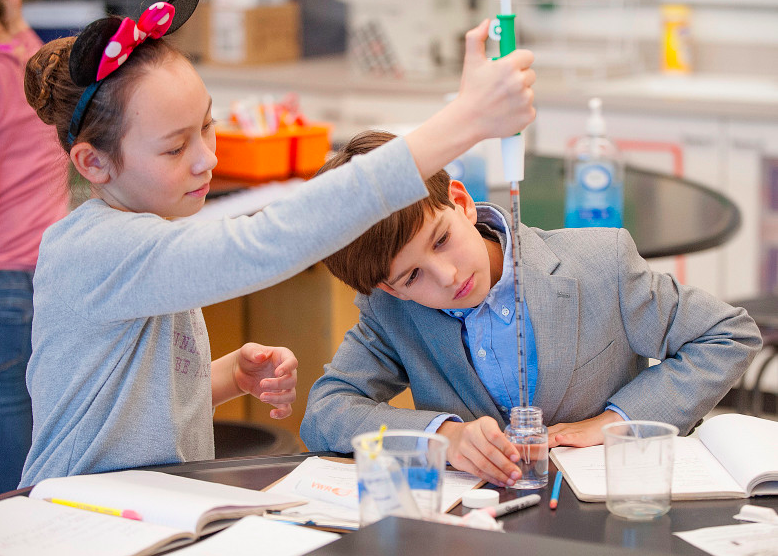 Back in the lab at school, Pam’s students expressed a real understanding of the impacts of urban runoff on water quality and a appreciation for their contribution to protecting public safety. Whenever people are testing the water I collected, it makes me feel like I’m contributing to keeping the public safe, said CJ Smith, 10, of Newport Beach. 5th-grade students run tests to see how bad water gets after a storm, as season’s ‘first flush’ trashes local beaches by Laylan Connelly. 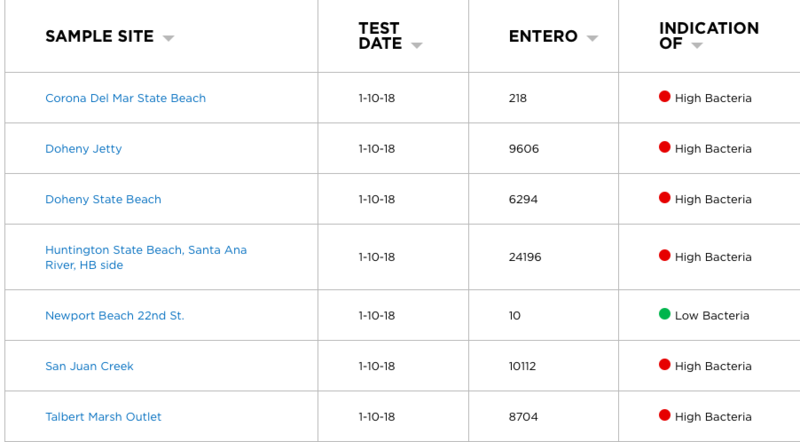 With only one exception, all of the bacteria results the students measured this week exceeded the health standard of 104 enterococcus bacteria, and the sample they collected where the Santa River discharges into the ocean at Huntington State Beach exceeded the method maximum of 24,196! Health agencies recommend that people stay out of the water for 72 hours after it rains, and we agree! Learn more about the risks here. Results obtained from sampling on January 10, 2018 below. The OC Register printed a follow-up story with the test results the day after sampling and the story was even picked up by the LA Times here. Hopefully this great media coverage of the extremely high bacteria levels measured by the Huntington Beach Blue Water Task Force will alert more surfers and beachgoers of the health risk of going into the ocean after it rains in Southern California. A map of sampling sites and all of the chapter's water quality data can also be viewed on the BWTF website. Meanwhile, up in Ventura County, the risk posed by runoff and the first flush of pollution is even more elevated following the devastating Thomas Fire that has totally transformed the landscape of the Ventura River Watershed. 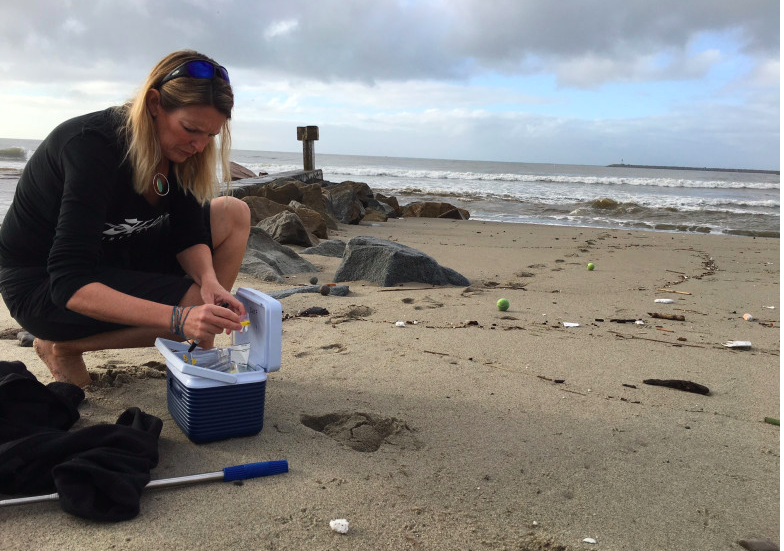 Bill Hickman, Surfrider’s Southern California Regional Manager explains in the VC Reporter, It’s going to bring nutrients such as nitrogen and phosphorous into the streams and river that could cause algae blooms that could deplete oxygen. Metals from burnt structures, soil and ash can accumulate in water and poison wildlife, mainly down in the creeks, said Hickman. Chemical flame retardants can leech ammonia to waterways, which can be toxic to fish, sometimes even in low concentrations. Read full article here. The Ventura Chapter works with Santa Barbara Channel Keeper to perform water testing in the Ventura River. They will be out monitoring water quality in a few days for the first time since the fire occurred. 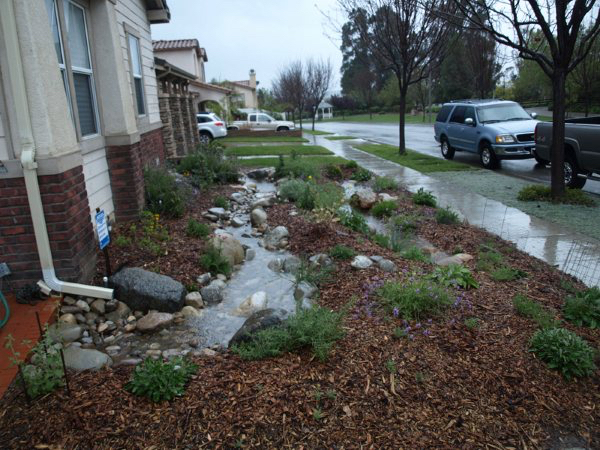 The Ventura Chapter also has a very active Ocean Friendly Gardens (OFG) program and recommends that everyone take advantage of opportunities in their own yards to capture rain, allowing it to soak into the ground instead of contributing to polluted runoff and flooded conditions. Learn more about the Ventura Chapter’s Ocean Friendly Garden program and ways you can make your own yard more Ocean Friendly on the chapter’s website or tune into their OFG Facebook page for tips and resources. Keep track of changes - good and bad - throughout the watershed on the Ventura River Ecosystem blog.